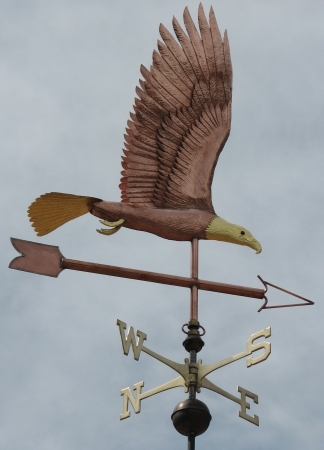 A popular design, the Flying Bald Eagle Weather Vane, Haliaeetus leucocephalus, is indicative of our national bird as well as a popular mascot for many sports teams. 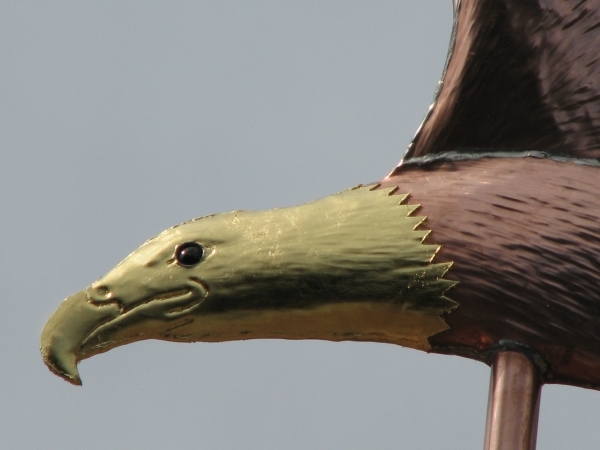 As with many of our bird weathervanes, we have added custom made yellow glass eyes with black pupils which, along with its furrowed brow and fierce expression, give the eagle a very lifelike appearance! 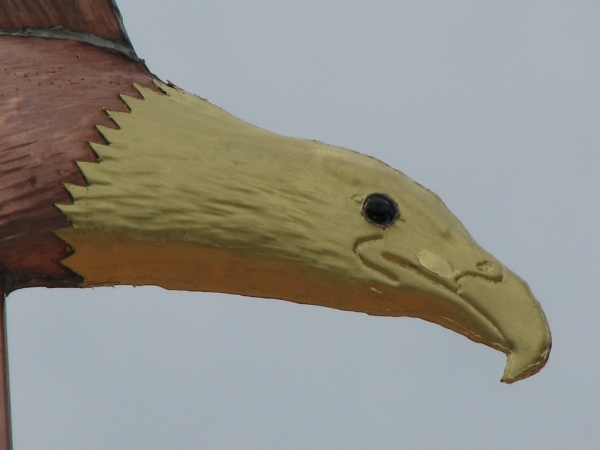 You can see the optional gold leafed details on the head, tail and talons. 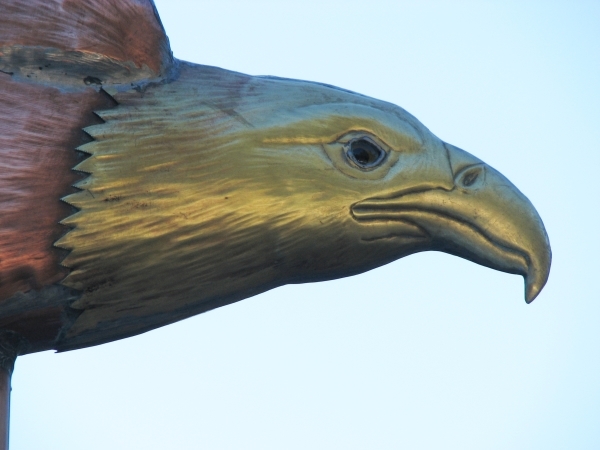 Gold leafing offers a nice visual contrast between the darker weathered copper and the golden sections of the sculpture piece. 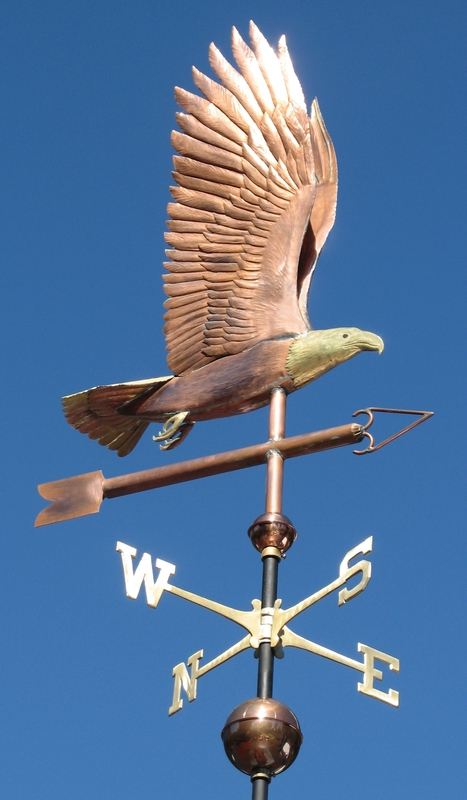 When this weathervane has weathered dark brown, the gold leafed head, tail and talons will make the eagle look quite real. 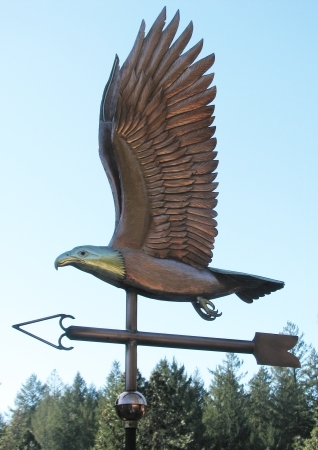 While we have versions of our Eagle Weathervane designs all around the country, they are particularly popular in the Northwest. 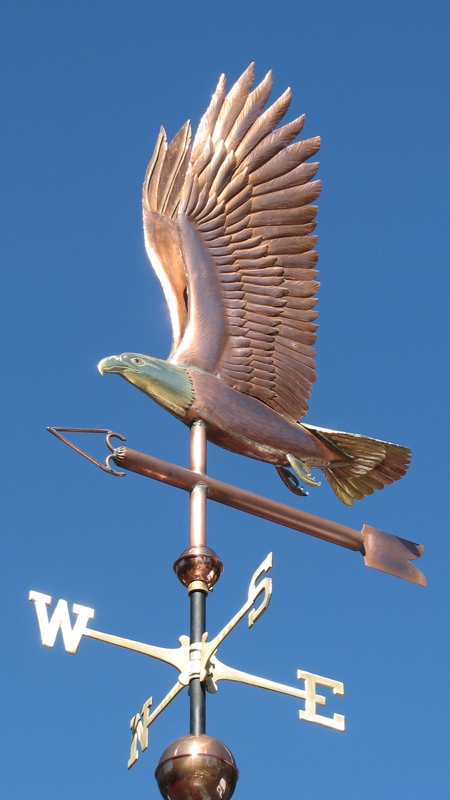 Washington, western Canada, Alaska, Idaho and Wyoming are frequent destinations for eagle vanes. 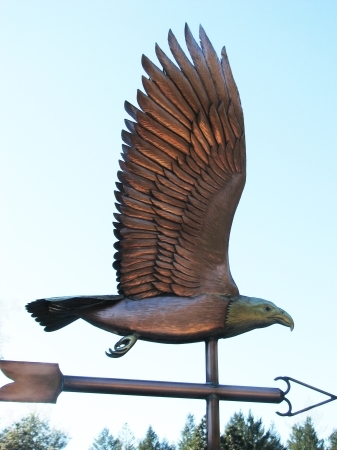 One of our most memorable Eagle in Flight Weathervanes was as a tribute to a World War II pilot who served with distinction in the 101st Airborne Division, famously known as the Screaming Eagles. 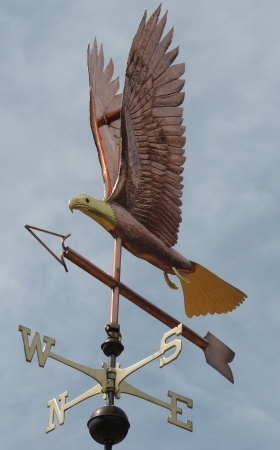 The inscription we stamped on his weathervane commemorated his service to this country. The family intends to hand it down from generation to generation in his honor. 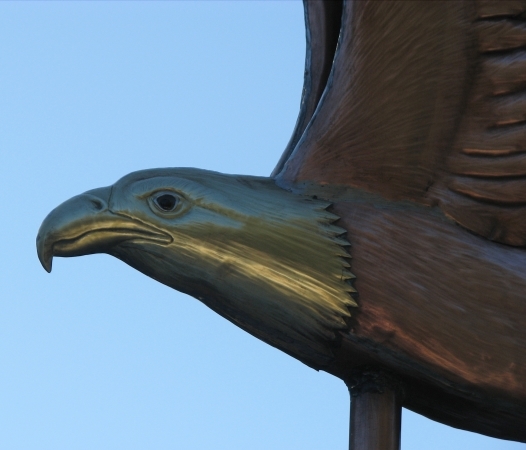 Bald eagles are not actually bald, the name deriving from the older meaning of the word, ‘white headed’. 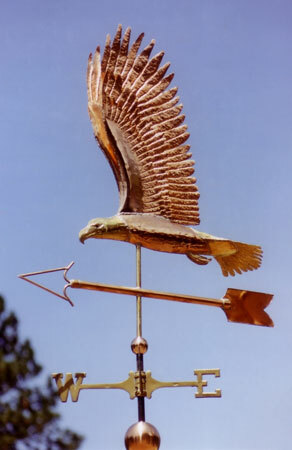 The scientific name is derived from Haliaeetus, New Latin for ‘sea eagle’ (from the Ancient Greek haliaetos), and leucocephalus, Latinized Ancient Greek for ‘white head,’ from Λευκός; leukos (‘white’) and κεπηαλε; kephale (‘head’).